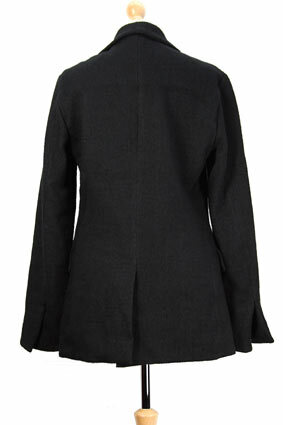 Barbara Bologna Single button jacket with curved lapels. Slight cut-away style. 2 pockets with flaps. Vented cuffs. Single vent at rear. Fully lined in black cotton. Substantial fabric with real texture. This jacket matches the jump-suit in the same fabric to create a wonderful outfit. Highly recommended, as good as it gets.